Perform these 6 protective exercises for improved performance and longevity in the saddle. 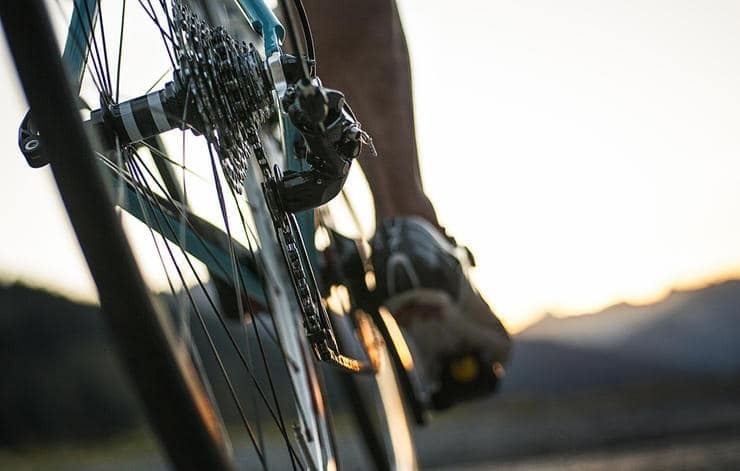 Cyclists experience a spectrum of aches and pains – and while they occur all over the body, many of them have a common culprit in poor core strength.”A weak core may be the common underlying cause of [things like] poor hip stability, but it may manifest as IT band syndrome in one rider, patellar tendonitis in another, and hot foot in still another,” says Jesse Moore, a USA Cycling-certified coach and owner of Moore Performance Coaching in San Francisco.And while medicine balls and sit-ups are useful ways to improve core strength and prevent these injuries, but you might be surprised to hear that the bike itself is a great tool for this job. If you want to get stronger by doing the activity you love, read on for a mix of core exercises that allow you to strength train while riding and make the best use of your off-bike time. To save even more time, do the off-bike exercises in your garage or yard before or immediately after your ride. Bonus: You can use your gym-commuting time to get more riding done. Why: This drill improves your core’s ability to stabilise your hips, which then allow your legs to exert more force on the pedals. The slower movement allows you to focus on hip stability and pedaling smoothness. 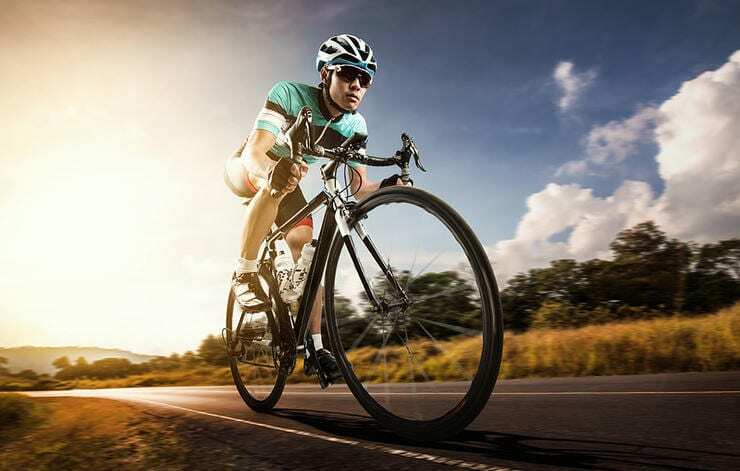 Combined with increased force, this slowness stimulates muscles and connective tissue, increasing their resilience in the range of motion required for cycling and strengthing them against acute or chronic loads that could lead to injury. How: After a 10- to 30-minute warmup that progresses from very easy to moderate intensity, perform four to eight sets of the following: two- to five-minute intervals, done anywhere from 40- to 70rpm. Pedal easy for two to five minutes at normal rpm (for most people, this is between 80- and 90rpm) in between for recovery. Start out doing fewer sets for shorter amounts of time, with sets at the higher end of the rpm range, and then increase number of sets, time per set, and difficulty each week. Ride with a very light grip on the bars, relaxing your shoulders and lower back. Don’t rock or rely on your upper body to respond to the load, Moore advises; if you end up gripping the bars or realise your upper body is moving, lower the effort until your upper body stays still, and progress from there. As a next-level challenge, do each set using a different cycling hand position. For true mastery, try keeping one hand behind your back while still holding a straight line. 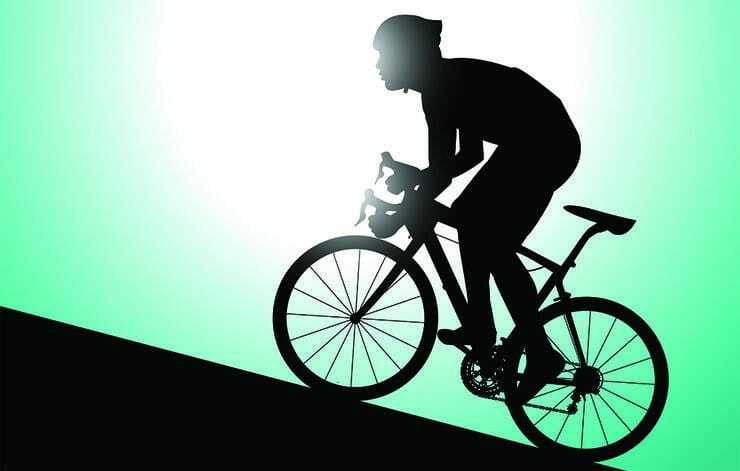 Why: A lot of cycling injuries can be traced back to week hip stability – especially in the muscles that would normally be used for the lateral movements cycling lacks. Moore likes this simple exercise because it can be done anywhere, and helps keep the hips, knees, and ankles tracking in alignment when you pedal hard. 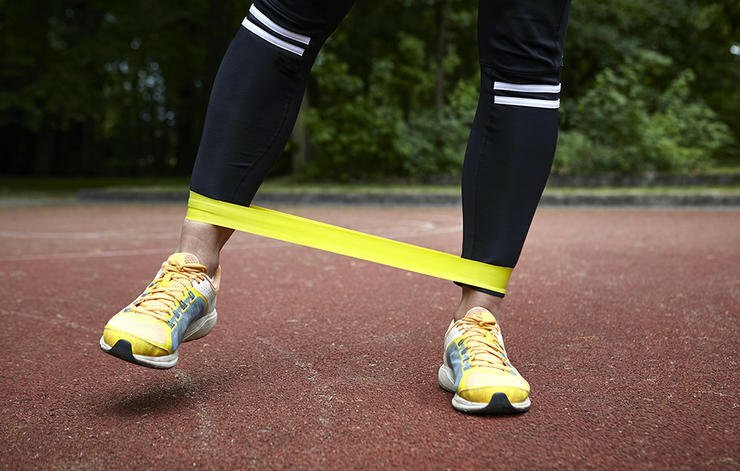 How: Place a resistance band around your ankles and stand with your feet shoulder-width apart. Step your left leg to the left, and allow your right leg to follow. Perform a few sets of 10 steps in each direction: one set straight legged, the second set in a squat position. For an extra challenge, raise your arms above your head. Why: In addition to low-cadence drills, cyclists should work to maintain core and hip stability as the legs move fast and free. This drill challenges the brain to coordinate all the muscles involved in pedaling in a fluid and economical way that protects against overuse injuries. “If coordination and alignment can be maintained in cycling across a broad range of cadences and loads, the rate of injuries should be really low to non-existent,” Moore says, especially because it doesn’t have the built-in weight-bearing joint abuse of sports like running. This drill also makes the core work to allow the legs to operate without restriction, which keeps your knees from tracking in an S-shaped pattern and prevents against all kinds of knee injuries. How: Do this drill after low-rpm work or near the end of a workout. Perform this drill for five to 15 minutes at a time, at a cadence of 100 to 120rpm. Start closer to 100rpm, and increase your stroke rate as your form improves over time. As you get better, try doing this drill in every hand position, and with aero bars if you’re a time trialist. As you fatigue the core, you might hear a dead spot over the top of the pedal stroke where you lose tension on the chain, Moore says. If that happens, stop, recover for a minute, and try again. Why: Moore prefers single-leg squats to the standard two-leg version because it address the body’s need to compensate for weaknesses on one particular side. This move is a highly effective core exercise. It offers an extra proprioceptive (body awareness) challenge by recruiting smaller stabiliser muscles that help maintain form and balance. How: Perform two to three bodyweight-only sets of eight to 12 reps on a simple box in the garage, stairs, a curb, or flat ground. Concentrate on driving from the glutes, not the quads. Recruit bigger muscles by sitting back into them rather than getting up over the knee – the same feeling you want to replicate on the bike. Why: It’s really easy in cycling to compensate for weaknesses on one side of the body by using the other, which exposes you to overuse injuries on your dominant side. In this drill, the core is not only heavily recruited to stabilise the rider, as the legs aren’t able to do it, but also ensured you don’t let one leg slack off! “This drill is very challenging – borderline torture for some – but is an incredibly effective tool if you invest the energy,” Moore says. How: Rest the non-pedaling foot on the frame of the bike or let it dangle loosely next to you. Perform 10-second bursts of pedaling with the other leg, working up to two minutes over months – or even years. Do this two to four times in a row, going back and forth between the legs with 10 to 30 seconds of easy spinning between them. Start by maintaining your normal cadence and average restistance. Only advanced riders should experiment with using more resistance. Progress to longer durations when your form is near perfect. Once you have some competency, start to play with different hand positions. Why: There are numerous versions of the classic plank exercise, but Moore’s favorite is performed in what is essentially a time-trial position. This exercise is tremendously helpful for people who experience neck and shoulder discomfort after longer rides, he adds. How: Keeping your elbows on the floor, lift your body into a plank pose, resting on your toes and maintaining a neutral spine. Hold for intervals of 30 seconds, or up to three or four minutes for advanced athletes.